When I worked at AOL many years ago, the company would often conduct surveys to gauge customer satisfaction. You know the type: “Press 1 to leave your feedback after the call.” Very few customers wanted to take these surveys, and some months we would end up with a paltry number of responses. But that didn’t stop some managers from making decisions based on what they believed the data was telling them. They were falling into a common trap: the belief that some data is better than none. In fact, some data—whether it’s the wrong type or too little—can do more harm than good. The responses these managers based their decisions on were far from statistically significant, and they’d probably have been better off guessing what their customers wanted. We hear a lot these days about “data literacy,” but few stop to think about what the term really means. At a time when data is viewed as the lifeblood of organizations, it’s critical that businesses help their employees to use data properly. After all, spending on big data and analytics products is expected to eclipse $200 billion by 2020, up from $150 billion last year, according to IDC. To get the most from these investments, companies must educate their employees to use data properly. So, what is data literacy? In the context of a business, it’s the ability for employees to derive meaningful insights from data and apply those insights in a way that benefits the organization. Most companies have at least a handful of data analysts who mine insights on behalf of the company, but data literacy happens when the majority employees have data at their fingertips. Achieving data literacy has several components. Tools and technology are part of it, but employees must also learn to think critically about data, so they can understand when it’s useful and when it’s not. And perhaps most importantly, data literacy requires a culture in which data is valued by all as a primary vehicle for decision making. Historically, data has been the province of the boardroom and the C-suite. Some departments, notably marketing, have been given wider access to data, but most are still excluded from the club. To build a data-literate organization, employees must have access to data without having to go through an intermediary. If you have to call the IT department just to learn how many new customers you added last month, you’re not a data-literate company. Identify the sources of data that will be useful to the broadest number of people and start to make them available via internal data services. Access to data alone won’t ensure people use it. Historically, managers have made decisions based on experience and instinct. Now that the data is available, they need a new mindset to start using it. Leaders must play a big role in making this happen. If employees give you their opinion on something, ask them if they have data to back it up. If you present new initiatives to the company, share the data you used to arrive at that strategy and explain why it’s important. Repetition is helpful for forming habits. The energy giant Chevron was known for starting every meeting with a “safety moment”—a brief talk that reinforced the importance of safety on the job. Try starting your own company meetings with a “data moment”—describe an example of how data informed a recent decision or share data that reveals a change in customer habits. Data literacy is a mindset and instilling a data-first attitude is half the battle. Once employees have access to data, they need to be able to view it, manipulate it, and share results with colleagues. Many people default to Excel because it’s a familiar tool, but confining data to a desktop application is limiting and leads to inconsistencies. Information gets out of date, and employees get conflicting results even when they’re supposedly looking at the same figures. Having a common platform for viewing, analyzing, and sharing data is helpful. It provides a single source of truth, ensuring everyone has access to the latest information. It’s also much easier to enforce policies around security and governance when data is centrally stored and managed. 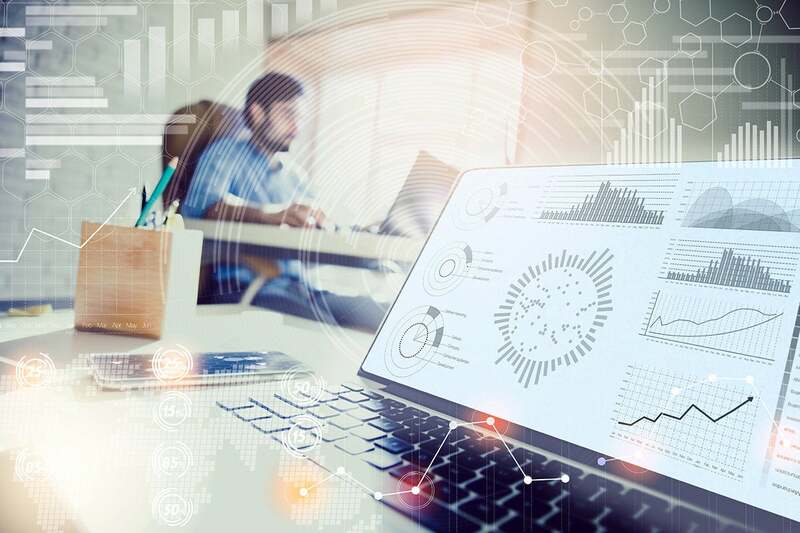 Analytics are only as good as the underlying data, and employees must learn to think critically about appropriate use of the information they have. Data can be out of date, incomplete, or insufficient to draw meaningful insights from. If a clothing business is trying to figure out which items to promote at a store in New York, looking at the best sellers in Miami might not help one bit. Unless you identify these shortcomings, acting on the wrong data will lead to bad decisions and wasted resources. Employees must also think critically about how they interpret results. Confirmation bias, or the tendency to focus on results that support our existing beliefs, is a real danger. So too is drawing conclusions from too little data, as we saw in the AOL example. There are many pitfalls to watch for with interpreting data (read about seven of them here), and employees will need training to avoid these mistakes. Putting data in the hands of a few experts is a powerful thing, but making it available throughout an organization can be a game-changer. Used properly, data can allow us to design better products, understand customers, and improve efficiency. Organizations now have access to affordable, powerful tools that make this possible, but providing access to the data is only part of the equation. Employees must be able to assess the value of the data they have and interpret it properly. We don’t all need to be data scientists to get value from data, but we do all need to be data-literate. Doug Bordonaro is a seasoned business and technology leader with over 20 years of experience developing and deploying cutting-edge business intelligence and data warehousing systems. Prior to his role as chief data evangelist at ThoughtSpot, he led sales and technical organizations at IBM, Netezza, Disney and AOL.